Lionakis blended existing design elements in the space together to create a circus animal train concept. 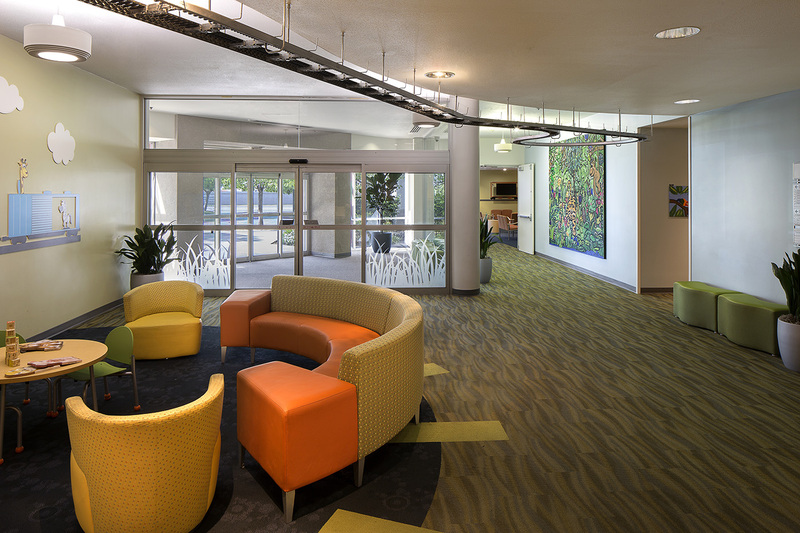 Layering in a vibrant color palette that not only complimented the existing art but also added a sense of creative energy in the newly renovated space. 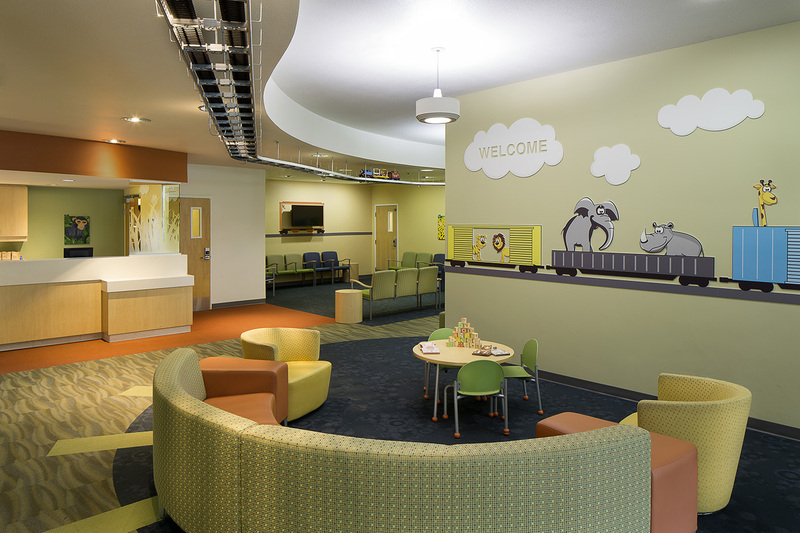 This same approach was taken when it came to fabric selection by adding pops of color across the space. 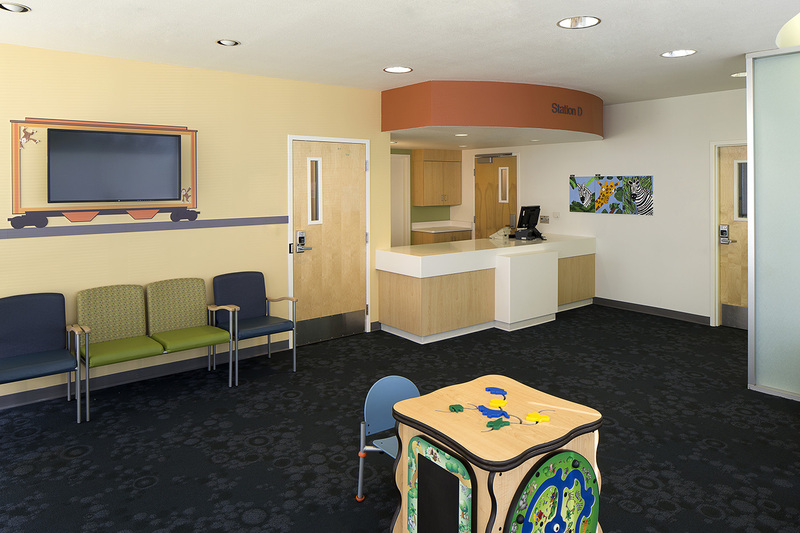 Custom designed three-dimensional wall art was created in-house to highlight the train and animal theme, giving the pediatric area a great focal point for children’s imaginations to take hold and ease their anxiety while waiting to see the doctor.